The room was clean and the staff were lovely. 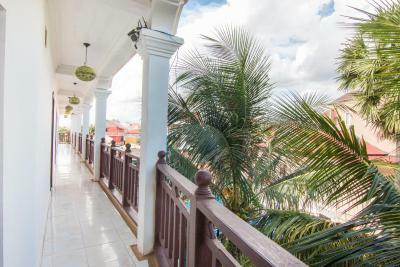 Location is great with everything you need within walking distance. I like the price, very reasonable. 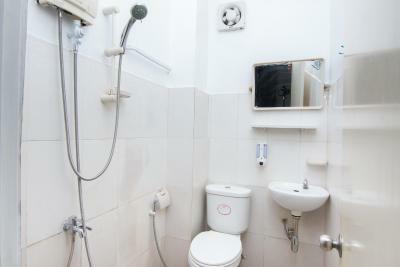 Staffs are friendly, good location, and clean room. Very quiet place! It is very cheap and the people very nice! The internet was great!! The highlight was the staff very friendly and cooperative. 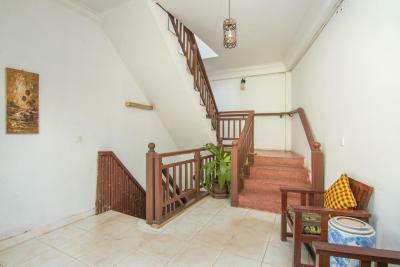 The property gives a one way frew pick up from siem reap airport to the hotel when we arrived. The tuktuk driver named Smile. Honest and very good tour guide esp. If you are going to Angkor temples. The room was big, nice and clean, also we had a nice balcony as bonus. Staff was amazing and so helpful. Close to supermarket and restaurant. Breakfast was ok. The rooms are big, comfy, with AC and the breakfast was really nice and big. They also gave it us free house beer our last day. The staff it’s good people, they also help us with all the info about Angkor wat and the place it’s in a perfect area. This place exceeds value for money! Anyone finding fault with this property at this price is crazy! Room has TV. Wetroom, fan or aircon, free bottled water. Comfy beds and fresh cooked eggs and toast for breakfast. All very basic but an incredible bargain! 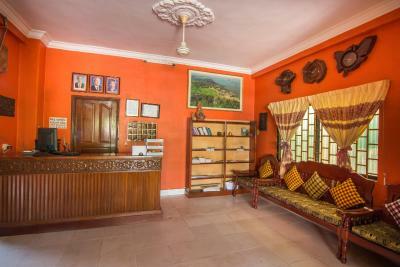 Oral D'angkor Guest House This rating is a reflection of how the property compares to the industry standard when it comes to price, facilities and services available. It's based on a self-evaluation by the property. Use this rating to help choose your stay! 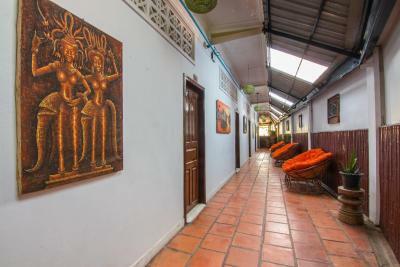 Located in the heart of Siem Reap City, the family-run Oral D'angkor Guest House offers Khmer-styled accommodations. It houses a restaurant and offers a free airport shuttle service. Free WiFi is available throughout the property. 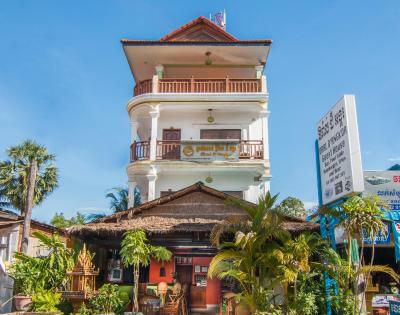 Just a 5-minute walk from the vibrant Pub Street and Angkor Night Market, the guest house is a 15-minute drive from the famous Angkor Wat and the Siem Reap-Angkor International Airport. 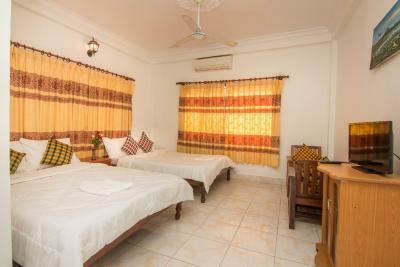 Fitted with tiled flooring, rooms at Oral D'angkor Guest House feature traditional Khmer furnishings. 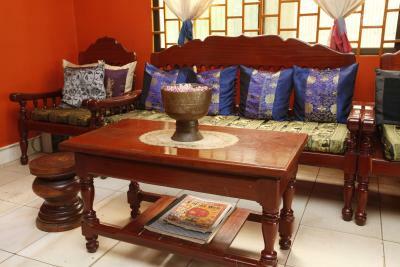 Seating rooms are equipped with air conditioning and a cable TV. Private bathrooms come with hot and cold shower facilities. Guests can play a game of pool at the rooftop or make travel arrangements at the tour desk. The 24-hour front desk offers transport rentals and a currency exchange service. 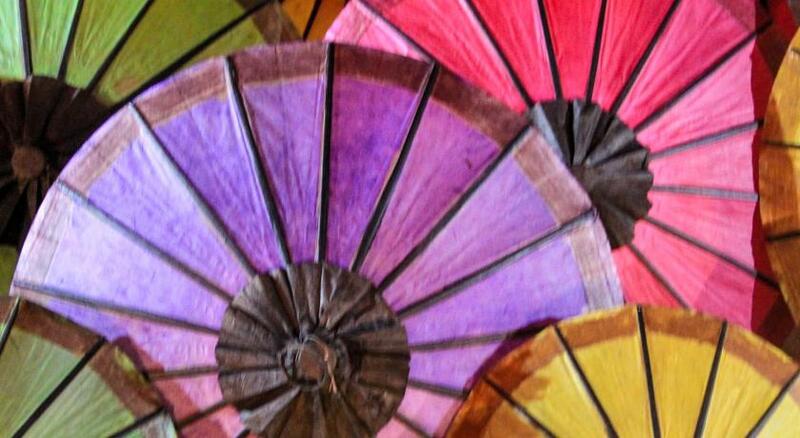 This is our guests' favorite part of Siem Reap, according to independent reviews. 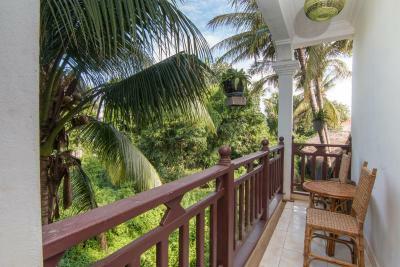 뀐 Located in the top-rated area in Siem Reap, this property has an excellent location score of 8.2! 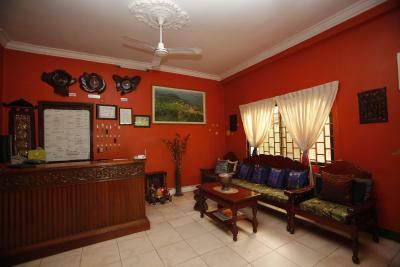 When would you like to stay at Oral D'angkor Guest House? 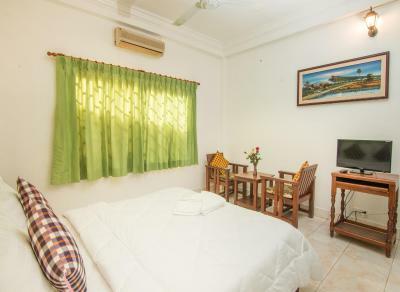 Decorated with colorful silk pillows and traditional Khmer ornaments, this room features free internet, cable/satellite TV and hot shower facilities. Room is fitted with 2 single beds and is cooled with air conditioning. 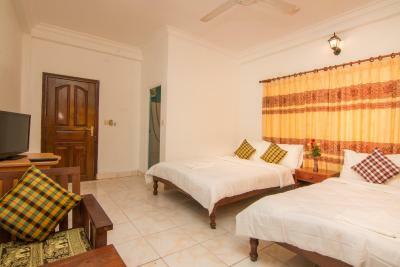 Room is fitted with a double bed and is cooled with air conditioning. 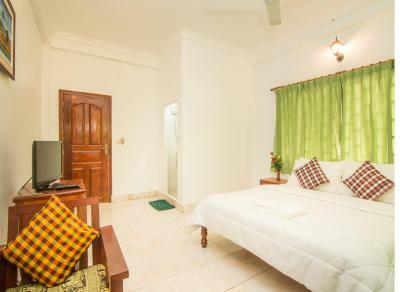 Room is fitted with a double bed and is cooled with a fan. Room is fitted with 2 single beds and is cooled with a fan. This family room features a private entrance, air conditioning and seating area. This family room has a private entrance, seating area and air conditioning. 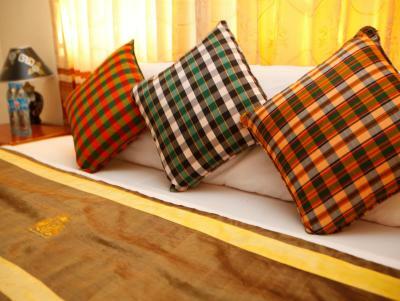 House Rules Oral D'angkor Guest House takes special requests – add in the next step! 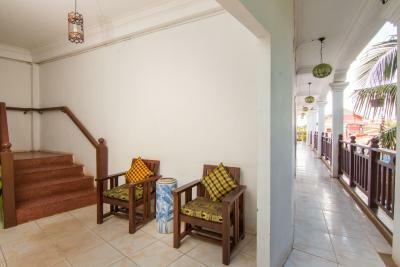 Oral D'angkor Guest House provides a free one-way airport shuttle service from the airport. 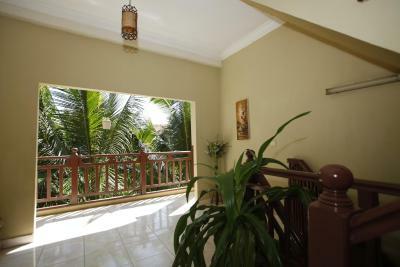 Guests are to inform the guesthouse of their flight details in advance if they would like to make use of this service. The pictures are very misleading on the site. The room was in desperate need of refurbishment. Bathroom was a disgrace. Sink loose on the wall and the shower would not stay in the holder so had to hold that while washing. Main door didn’t fit in the frame fully. Although I didn’t book Air con when I asked if I could pay the extra for it the unit didn’t work. Furniture was falling apart. We had experienced poor connection of internet inside the room. - Shower head had come off before we got there, we just had a hose to shower with - Few insects crawling around - basic room and very simplistic - overpriced for what you get We found a brand new hotel 5 mins down the road for half the price. Good breakfast. The best price for what we got. Very big bedroom. 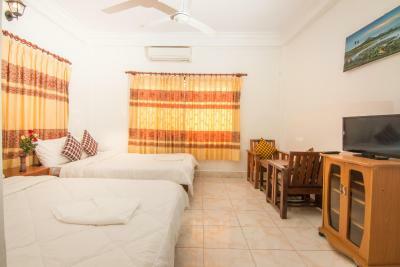 Good sized, light and bright room, 2 x good sized double beds. 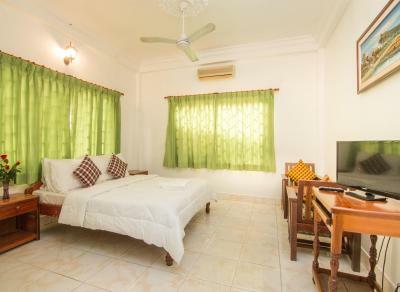 Good A/C plus ceiling fan, hot water shower, cupboard spaces and WiFi. Complimentary eggs, toast and fruit breakfast, complimentary water bottles each day. 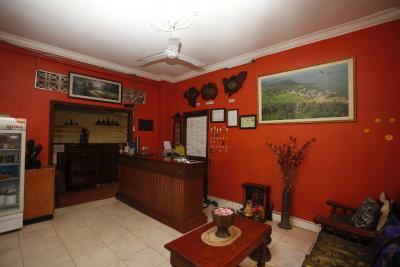 Staff helpful, friendly and good English skills. Cleanliness good, what you'ld expect at this price level. 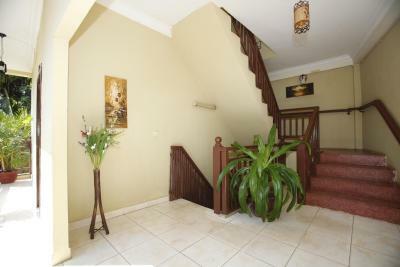 Central location, close to bus station and restaurants . Would definitely use again.